Analytical data company Nielsen has published a list of the year's most anticipated holiday games. The list is based on a survey completed by around 6000 people, but takes into account a number of factors, such as general awareness, purchase interest, and consumer rating. Brand recognition and a few other things also feed into the results. It includes titles released between September and December 2018. Interestingly, Call of Duty: Black Ops 4 is at the top, and Red Dead Redemption 2 is in second place. We imagine that most of you reading this probably would have bet on Rockstar's upcoming open worlder being number one by some distance -- we'd have done the same. Battlefield V, Fallout 76, and Assassin's Creed Odyssey are third, fourth, and fifth, respectively. Of course, these are all multiplatform games. When it comes to PlayStation 4 exclusives, it's no surprise that Marvel's Spider-Man rules the roost. Clearly survey results like this don't tell the whole story, but as we always say, they do provide a potential indication of trends. Spidey's high anticipation ranking, for example, ended up being an accurate representation of the market, given how well the game has sold. 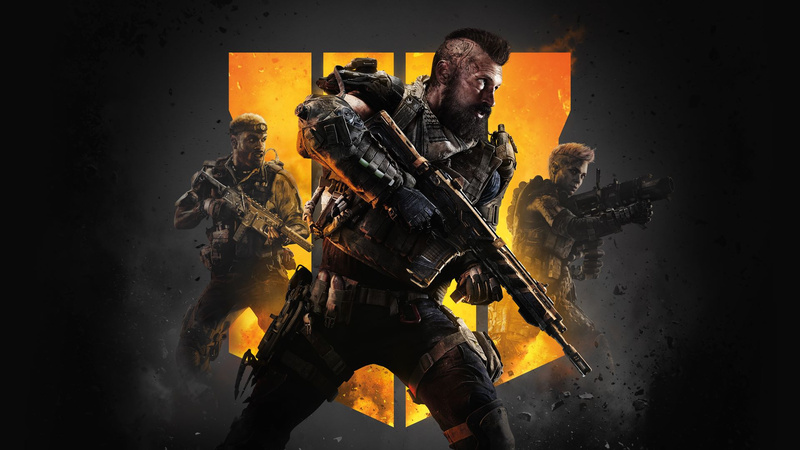 Will Black Ops 4 topple Red Dead Redemption 2, though? We're not so sure on that one. no way it will sell better. they might come close,afterall blobs 4 also releases on pc while rdr does not yet. and ofcourse you always have people that think "cowboy games are boring,and it is not gta 6 so i won't buy it" but those are just a select few. but black ops beating rdr in sales? no way. I think reception is going to play a huge part in this. RDR2 is highly anticipated, but runs the risk of disappointing. And if Blackout mode is a streaming hit, it will overtake easily. Also, note that RDR2 will release without the multiplayer update, so people might be holding out on the game until that actually releases. Not for me. This is the first COD I won't be buying. After COD WWII, I prefer older style FPS's rather than all the double jumps, wall running etc. Black ops 4 is easily going to sell more than rdr 2 even though I have no interest in the former and can’t wait to pick up the latter. People remember the unbelievable sales for gta 5 and think it’s going to repeat with rdr 2 and it’s just not. Red dead redemption sold I think somewhere in the range of 12 to 15 million which is very good and probably where the sequel with cap out at. I can't see it myself, but you never know. Blackout could potentially be massive. Not for this guy. I still need to play the original RDR, but the opening moments kind of bored me. If I do end up liking it though, I'll definitely get RDR2. There is a big difference between “our” anticipations and “their” anticipations. “We” are the enthusiast crowd, “they” are Fortnite crowd. “They” outnumber “us”. Conclusion: BLOPs 4 is going to sell more than RDR 2. This isn't really a surprise tho. There are tons of people that buy a console each gen just to play COD, Battlefield ect. Lets be honest here, as great as RDR was and as good as RDR2 could be, its unlikely to have the brand recognition of Call of Duty - a brand that a lot of non-gamers are aware of. As for sales, if CoD doesn't sell 20m+ its considered to be a 'flop' by a LOT of the media - such is the popularity and history of the franchise. Whether RDR2 can sell as many copies as BO4 remains to be seen but RDR2 could still be selling well for years to come - look at GTAv for example. Then there is the whole 'eSports' scene which will no doubt contribute to sales of CoD and a lot of gamers maybe won't have time to invest in a large RPG either so again will play into CoD's hands as far as the immediate future. Its been 8yrs since Red Dead Redemption so there is likely a whole generation of gamers that haven't experienced the game and, being a 'numbered' game, may be put off because they didn't play the previous games. You also have to take into consideration the setting - Cowboys and Westerns aren't exactly that popular in the media in general and may not have the widespread appeal. Its not like Westerns are popular at the box office at the moment. There are certain games - like Fifa and CoD - which will sell more than virtually every other game released and often more in their first week than some games will go on to sell in their lifetime. Their 'fans' will out-number fans for practically any 'Game of the Year' contender and be 'anticipated' by those fans too. It really doesn't surprise me that games like Fifa have outsold Spider-Man or CoD will outsell Red Dead Redemption 2 - (at least in the first year but RDR2 'could' continue to sell for years like GTAv and end up selling more eventually). I think BO4 will win out the gate and then dribble out, I think RDR2 will launch well and be in the charts for ages. Not GTAV ages because slightly different demographic but I think this won't go down in price any time soon and next year there will be another COD. I think COD will sell big numbers for a year until the next one comes out. RDR2 will sell very well for years. @dark_knightmare2 Not a chance, Red Dead 2 is more likely to double the original's sales if anything. Remember this is the game that Cod, Battlefield and Assassin's creed have had to shift their releases around. Definitely not for me, having played the beta not that bothered about cod and been waiting for rdr2 for years! Not long now! Of course COD will top RDR2 ...in the short term not in the long run. I'm surprised you seem surprised. Over time RDR2 will outsell BO4 no matter what happens initially. I’m not getting either too. But yeah, I also foresee most dissapointing game coming up too here. Surprising, this is the first CoD I'm not getting and none of my friends seem to be either. I'd absolutely love to know what 2K's metric for success is with Red Dead 2 after GTA Vs unprecedented sales numbers. I said this on here months ago and got shot down, while rdr2 will be big... Some people expect it to be huge like gta, cod, destiny etc.. It won't have that mental mass market appeal. I'm excited for it but I don't think western games are everyone's cup of tea. Meh doesn't matter to me if BLOPS does sell better, RDR2 will still have the better (and only) story campaign . @Toadie make sure you get Astro Bot VR!